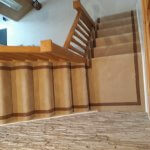 We manufacture our custom made carpet and sell directly to you without the need for a middle man, you reap the benefits. 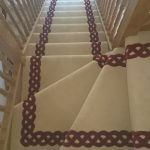 For a quality custom made carpet with exquisite detail and character, choose from our range of bordered carpets. 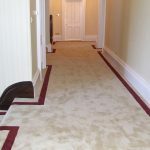 Our bordered carpets are manufactured in one piece up to 35 feet wide. In any colours specially dyed to your requirements. 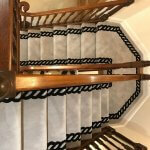 As you will appreciate our custom made carpets are individually made and will only fit our customers rooms. We have over 2,500 colours to assist you in your colour choice. We can colour match any colour you give us. A deposit of 50% is required with all orders. The balance is due on completion of installation. Our 65 oz carpet available in 100 % wool. Our 85 oz carpet available in 100 % wool. Or 80/20 wool/nylon. Our 105 oz carpet available in 100 % wool. Or 80/20 wool/nylon. 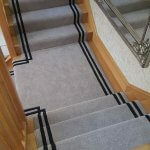 STRAIGHT LINE BORDER CARPET PRICES. Our 85 oz carpet Available in 100 % wool. Or 80 /20 wool/nylon. Our 105 oz carpet Available in 100 % wool. Or 80 /20 wool/nylon. Rope border, Celtic border,Greek key border,Hexagon border, Sea shell border, Sea scroll border, Chain link border, Double hemp border, Fleur de lis border, Circle link border. OR WE CAN MANUFACTURE YOUR BORDER REQUIREMENT. Just ask us we can tell you instantly if we can do it. Our 85 oz carpet available in 100 % wool. Or 80/20 wool/nylon. BORDERED. If you would like a Quote. Quotes are without any obligation on your part to buy from us, and are valid for two months. 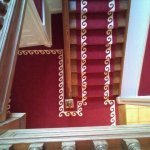 We do not follow up on quotes, and believe if you want to buy our custom made carpet, you will contact us.